Berlin (DE), Buers (AT). At InnoTrans 2014 in Berlin, Getzner Werkstoffe demonstrated how to get to grips with the effects of rail transport in urban environments. In recognition of its exceptional performance in the British “Intercity Express Programme”, the trade fair also saw Getzner awarded the “Production Partner Award” by rail vehicle manufacturer Hitachi. InnoTrans 2014 was a total success for Getzner: exciting discussions, meetings with key decision-makers and a significant award. In recognition for outstanding performance in the”Intercity Express Programme”, Getzner was awarded the “Production Partner Award” from rail vehicle manufacturer Hitachi at this year’s InnoTrans. Just 30 of the roughly 300 suppliers involved in the project were honoured in this way. As part of this project run by the British Department of Transport, Hitachi has chosen Getzner as the exclusive supplier of floating floors for rolling stock. The contract for supplying floating carriage floors for the vehicles in the first subproject, the Great Western Main Line, was signed in August. The starting signal for the next subproject, the East Coast Main Line, was officially given at InnoTrans. The total contract value of both projects – Great Western Main Line and East Coast Main Line Phase 1 and 2 – is 1.4 million euros. Under the terms of this agreement Getzner will be providing vibration-isolating floating floors for a total of 866 carriages. All the carriages are to be finished by the end of 2019. Experts from Getzner gave an interactive demonstration of the impact of vibrations directly on the exhibition stand: “Not only have we shown the impact of vibrations, but also how these effects can be countered by using our materials,” explains Jürgen Rainalter, Chief Executive Officer of Getzner. A virtual train passed by every 30 minutes, causing vibrations that were then experienced – through multiple senses – by all those on the stand. The guests were able to escape these vibrations on so-called “hot spots” – vibration-free islands elastically mounted on materials from Getzner and lying flush with the stand floor – and experience for themselves how professional vibration protection works. In “real” towns and cities, the sources of vibrations are situated close to, and therefore influence, each other, resulting in the issue of vibration protection becoming ever more important. “Today we have to understand projects and their outcomes from a holistic point of view, especially in urban areas. Rail tracks, vehicles and structures must be viewed as one, as they also have a mutual effect on each other. This has been proven by successfully implemented projects in heavily built-up areas such as Tokyo, New York and Munich,” adds Jürgen Rainalter. At InnoTrans 2014, Getzner’s focus lay on presenting solutions that meet the highest demands of vibration protection, including the Embedded Rail System, which has been nominated for the Austrian National Innovation Award 2014, the mass-spring system and sleeper pads. The Embedded Rail system from Getzner embeds light railway and tram rails in a resilient material – Sylodyn®. This provides a form of vibration protection that minimises noise and vibration directly at source. 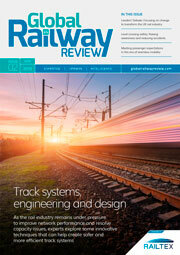 “This resilient system for rails protects both track and road in equal measure. The economic aspect is also important; maintenance costs for train operators are significantly reduced. Installing the system improves ride comfort for passengers by quietening their journey. People living close to the tracks also benefit from the reduction in vibration and noise,” summarises Dr. Harald Loy, head of system development at Getzner. Mass-spring systems are also used where there are extremely stringent requirements for protection against vibration and structure-borne noise. This solution has been installed in urban traffic, on high-speed lines and on various standard gauge lines throughout the world. Sleeper pads are used as vibration protection on high-speed lines and heavy freight routes. They can even be retrofitted during track maintenance work. 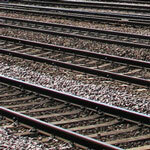 The pads reduce stress and wear on the ballast under the rails and improve track stability. Getzner solutions have a positive effect on the prices of buildings and properties affected by vibrations.